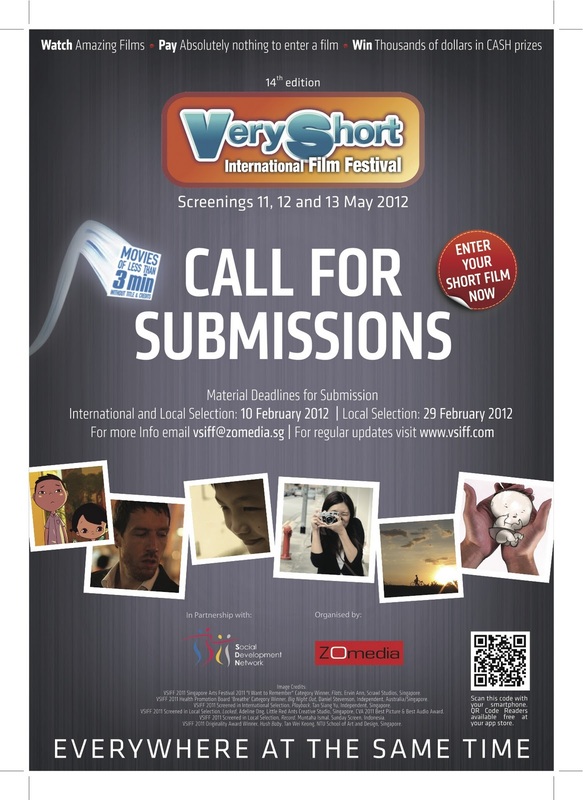 Submit your short films [of 3minutes or less] for consideration for both the International and Local Selection [International and Local Selection entry closing date 10th February 2012, Local Selection ONLY entry closing date extended until 29th February 2012]. The festival is open to any and all themes and genres of communications on screen! The pivotal condition/requirement is that it must be said in three minutes or less! 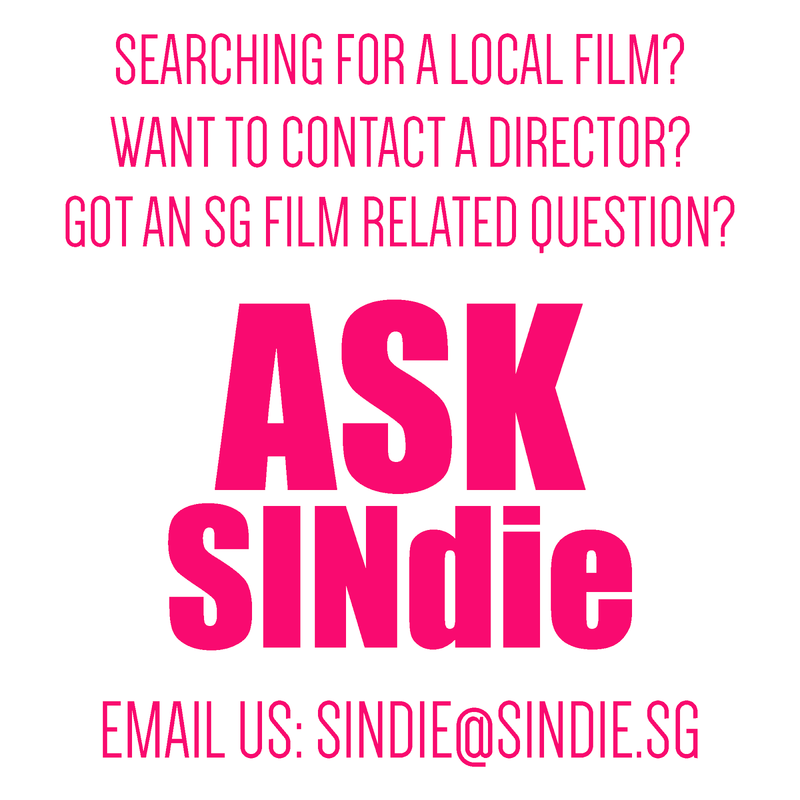 There is also a special category: “Give Love a Chance” is the special category theme for VSIFF 2012 in collaboration with Social Development Network [SDN] Singapore.http://app.sdn.sg Make a short film and ENTER the “Give Love a Chance” special category to WIN $4,000 in CASH! The Very Short International Film Festival has two Selection Processes and Sections; The International Selection and the Local Selection. The International Selection is processed, selected and judged in Paris by the parent organization of VSIFF, Festival international des Très Courts [Trés Courts] managed by Nanosphere Productions. It is this Selection that will be viewed around the world in up to 20 countries, 80 cities all at the same time, 4-13th May 2012. In 2011, 46 films were shown in the International Selection. The Local Selection is processed, selected and judged in Singapore by Very Short International Film Festival [VSIFF] managed by ZoMedia Pty Ltd. The Chief Judge will be Eric Khoo, four/five other judges are to be announced shortly. This Selection will be shown in Singapore alongside the International Selection during the Festival screenings 11, 12 and 13th May 2012. In 2011, 26 films were shown in the Local Selection. For a film to be considered for the International Selection please send the film on a DVD along with a completed and signed registration form to ZoMedia. 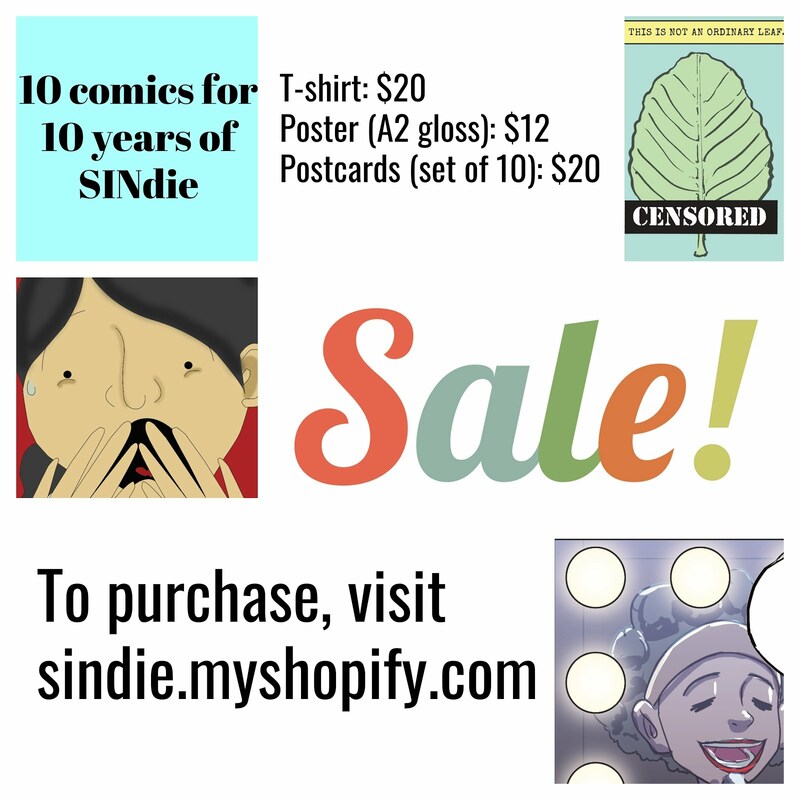 This must all reach ZoMedia no later than the 10th February 2012. These films will also be considered for the Local Selection. For a film to be considered for the Local Selection only, please send the film on a DVD along with a completed and signed registration form to ZoMedia. This must all reach ZoMedia no later than the 29th February 2012. Finally, be inspired by the promo trailer!